I try to stay reasonably fit and strong. 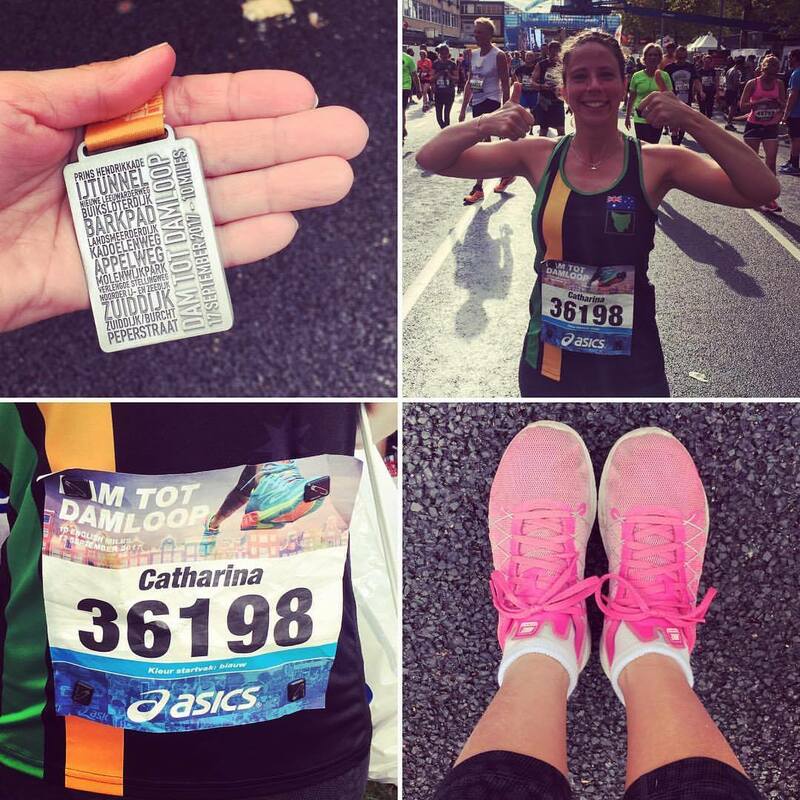 One of the cheapest, easiest and convenient forms of exercise is running. So I run and I know it’s good for me (mentally and physically), but it’s not my favourite thing to do. Every so often I sign up for a competitive running event because it’s a good way to scare myself into keeping active. 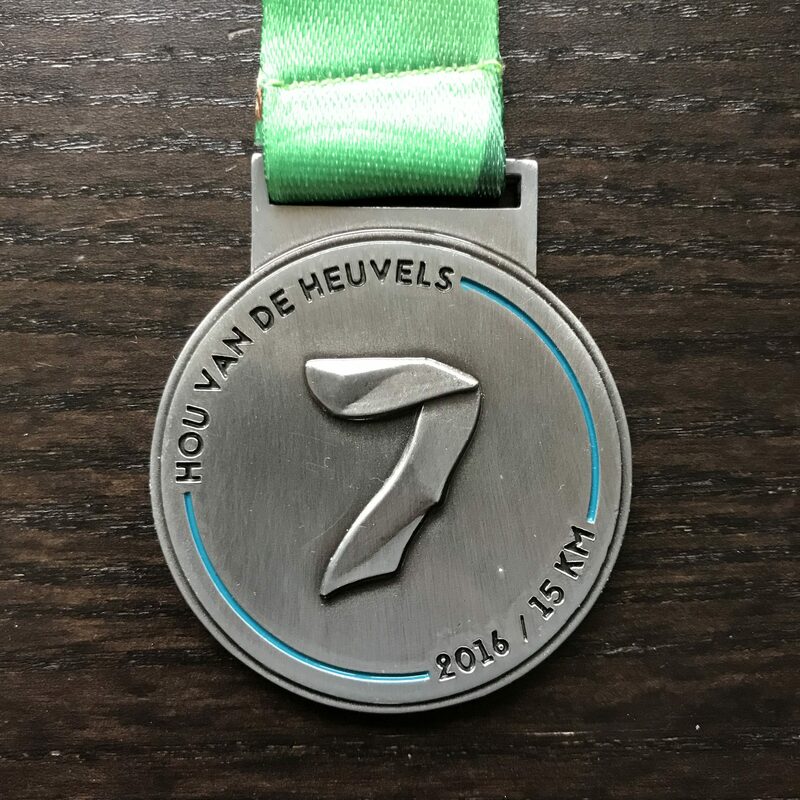 In November 2016 my uncle was signed up for a running race called the Zevenheuvelenloop (Seven hills run) in Nijmegen, The Netherlands. 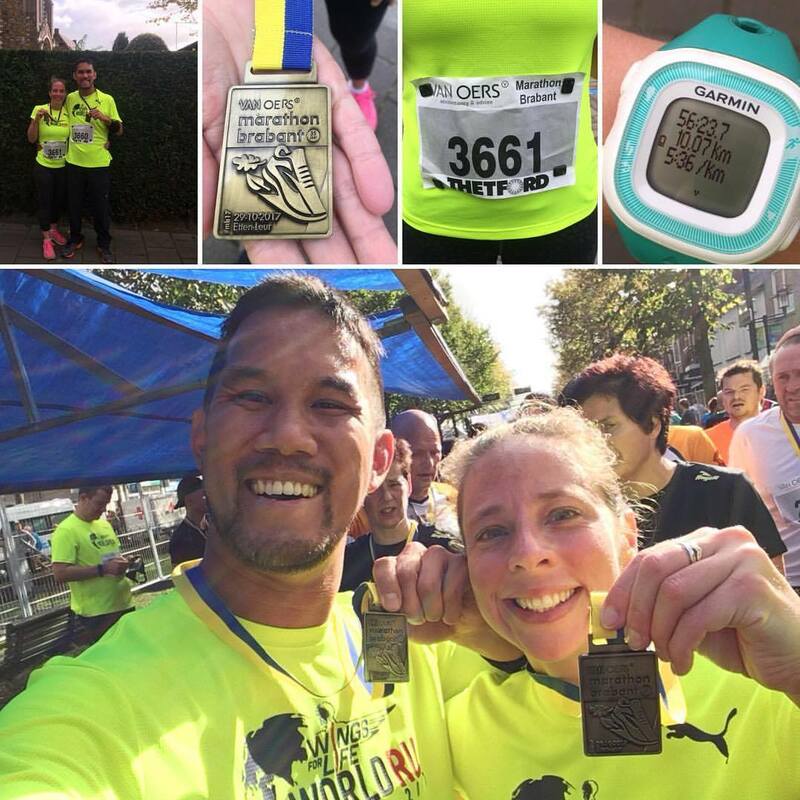 He and his running buddy were unable to participate and handed their entries over to my ‘partner-in-crime’ and I. 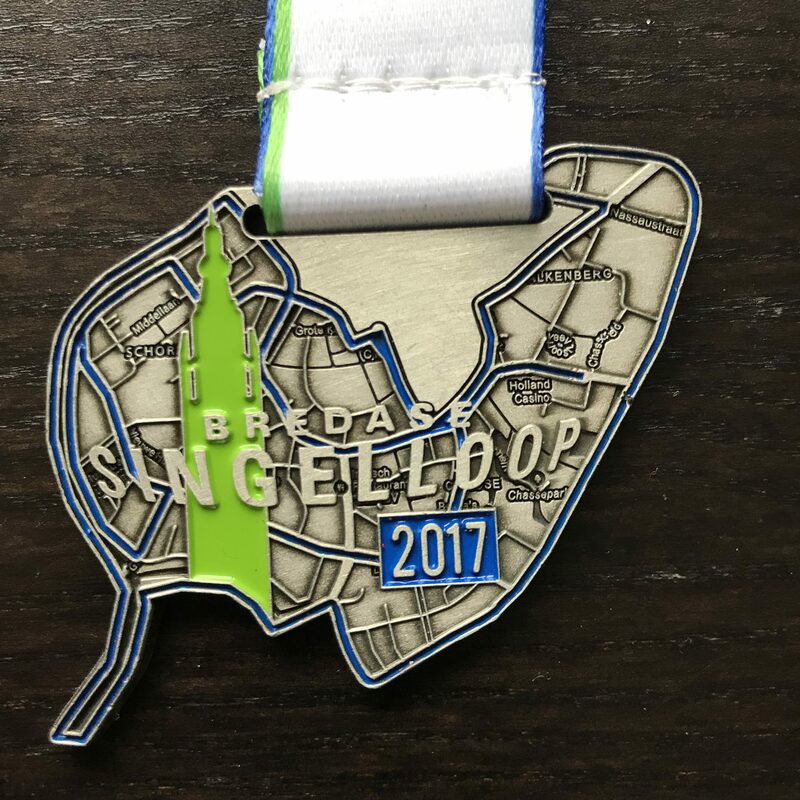 Soon thereafter we were signed up for the Bruggenloop (Bridge run) in Rotterdam, The Netherlands. 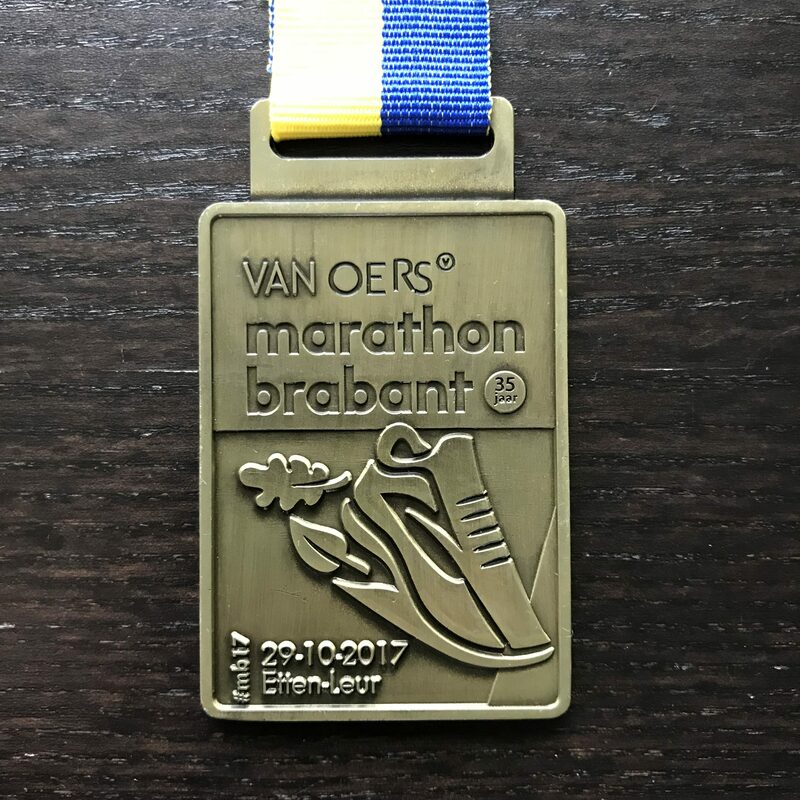 Around this time my partner came across a blog post written by two Dutch girls who were challenging themselves to run twelve competitive running events in 12 months in order to achieve 12 medals. 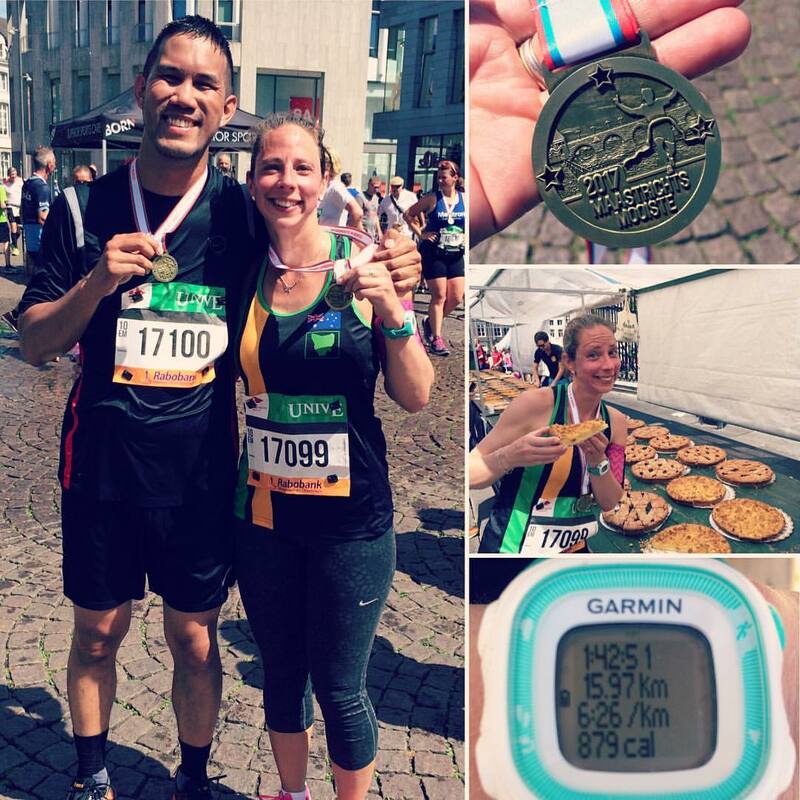 When he told me about it, it would seem that I dared him to do it and somehow we both ‘signed up’ for running 12 races in 12 months. We’ve set up some rules for ourselves for this challenge. 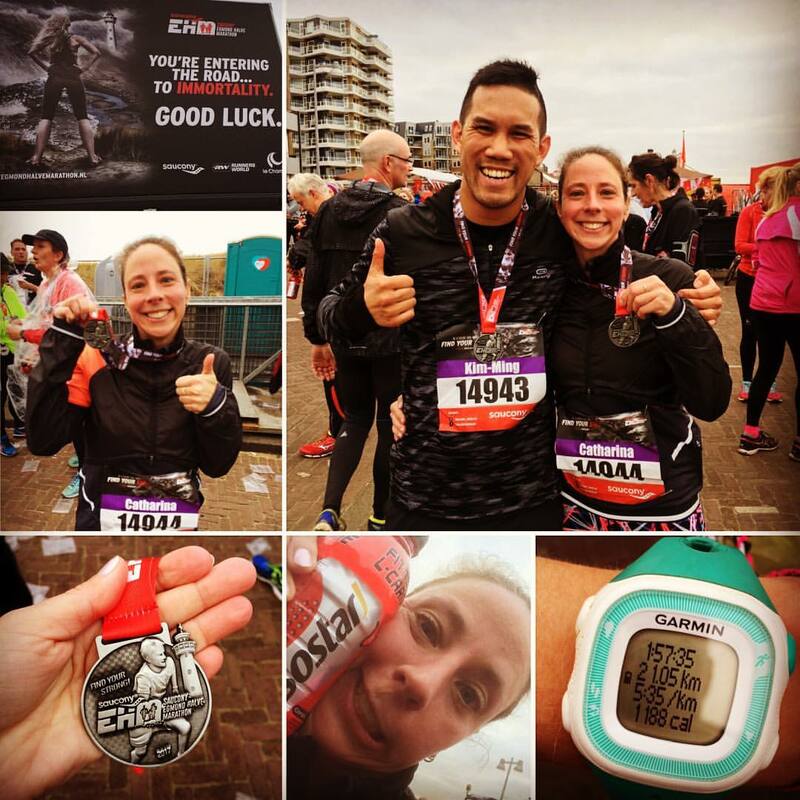 The challenge is to complete twelve competitive, and officially recognised, running events in a twelve month period. The race you has to be 10 kilometres or over. The event has to award a medal. We did not have any other limiting conditions on the way we completed the challenge. 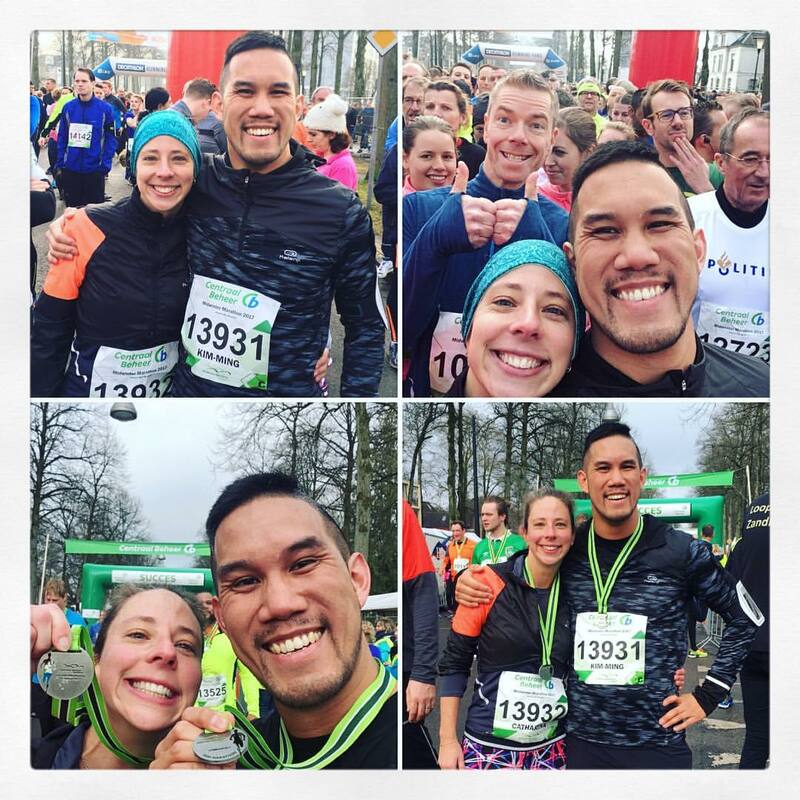 We completed a variety of events, all over The Netherlands (and one in Budapest) covering a range of distances: 10 kilometres, a car-chasing event,10 english miles (16K) and a half marathon. 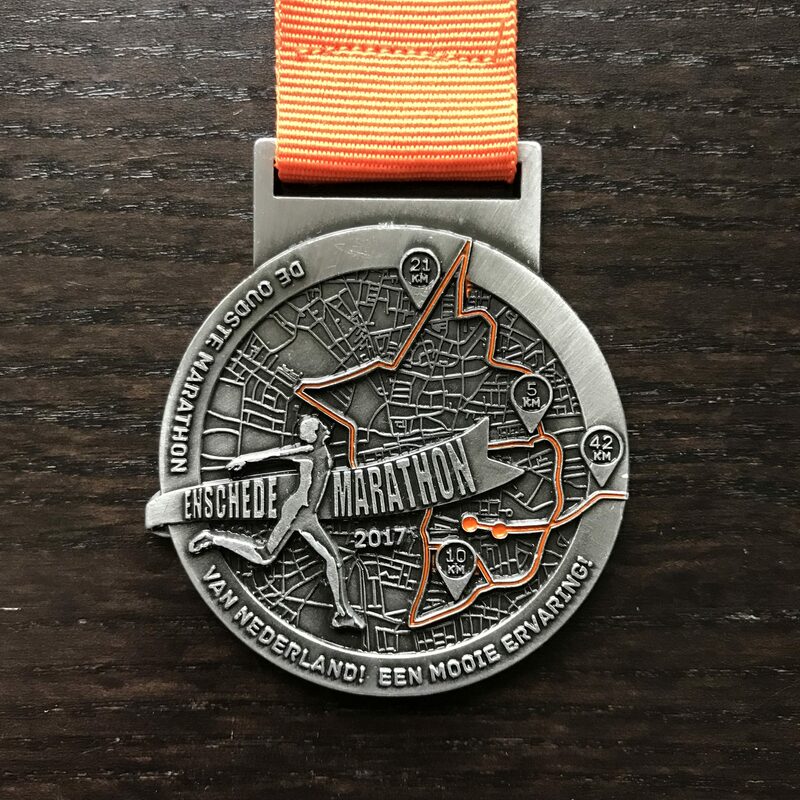 If you want to sign up to an official 12in12 challenge, commit to 12 events of the same distance and receive a 12in12 medal; then there is an official challenge site 12in12. 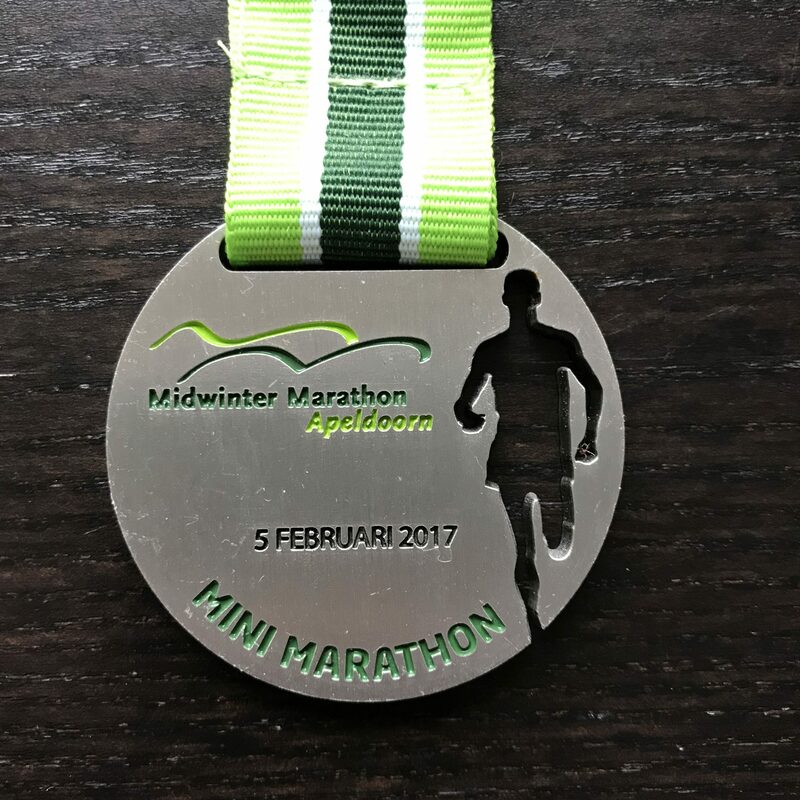 One of the most popular and scenic races in The Netherlands, despite the name it doesn’t have seven hills, rather it’s named after the street along which you run, the Zevenheuvelenweg. 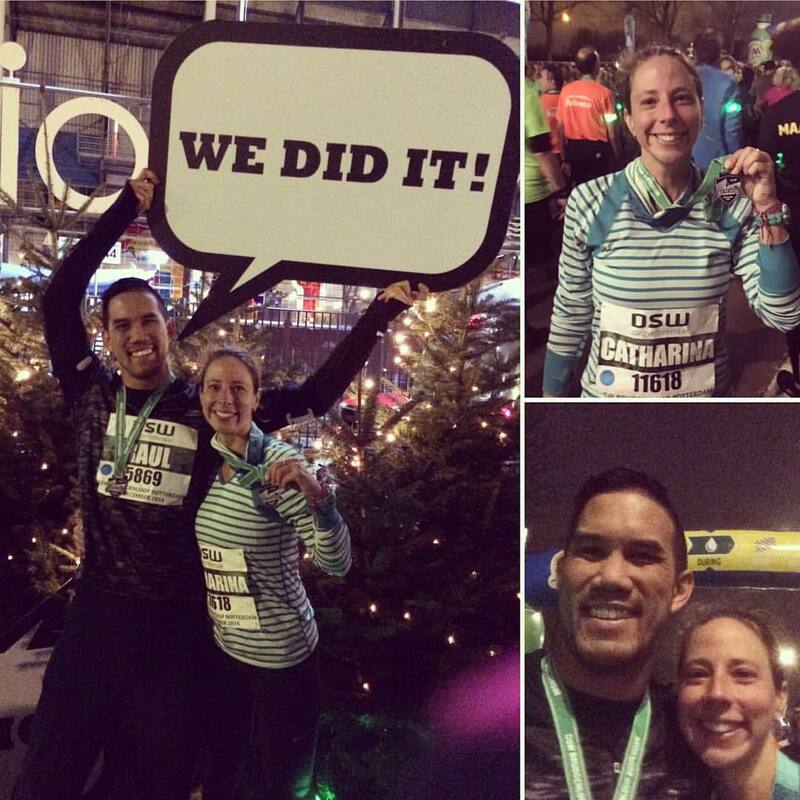 Really fun evening race where you run through the sunset and everyone wears flashing green armbands. After the sun has set the sea of green flowing through the streets looks awesome. 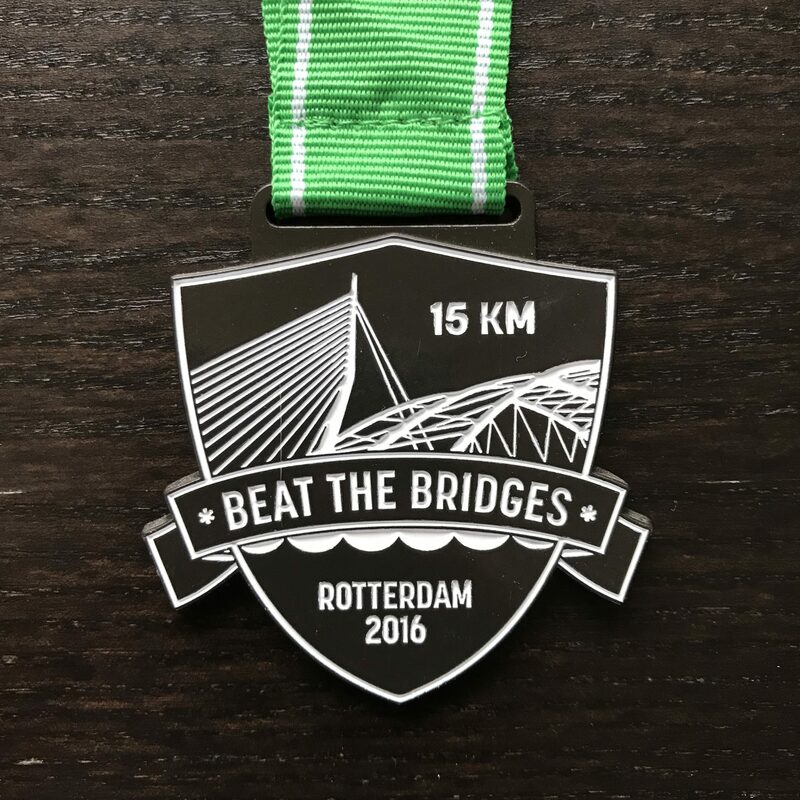 The run crosses several bridges and passes through a tunnel; it’s a great city tour of Rotterdam with many cheering spectators. This is probably my favourite medal simply based on it’s appearance. A run along the beach and through the dunes is not my ideal terrain, but it certainly was scenic! 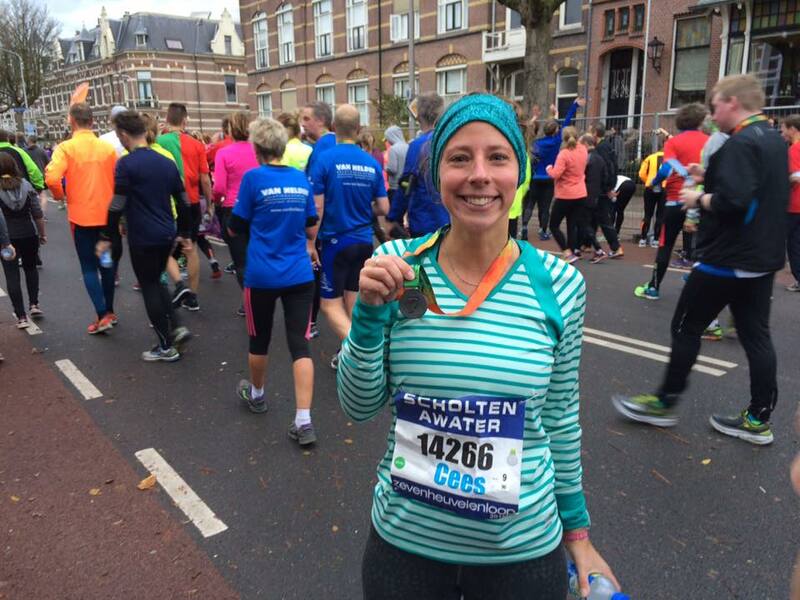 This was a tough race as I was not just fighting the cold, I was fighting the flu. 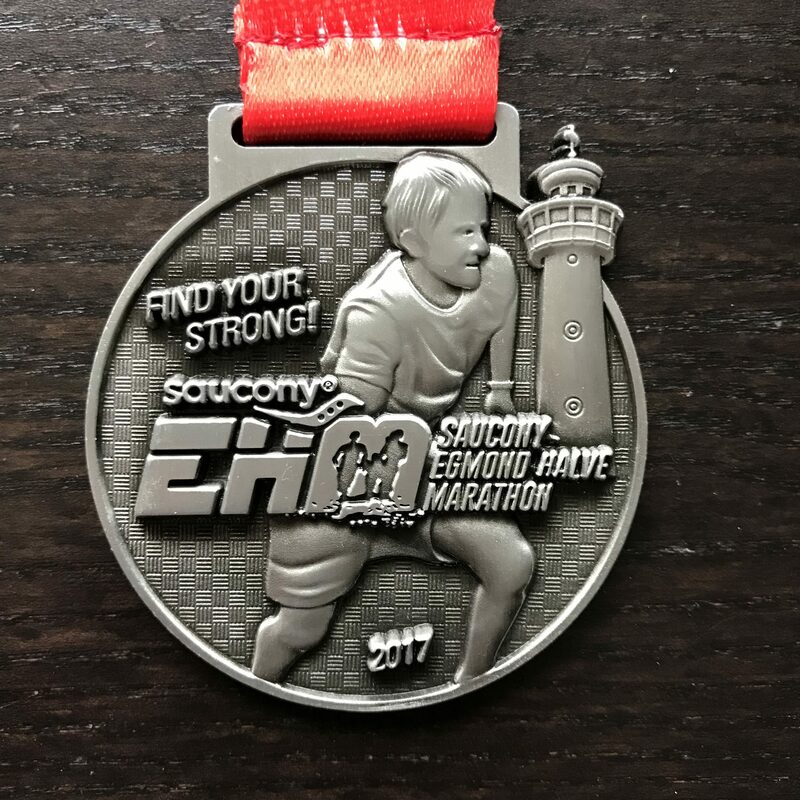 I like that the medal is quite heavy, it’s reflective of the heavy nature of a half marathon along the beach in the winter. 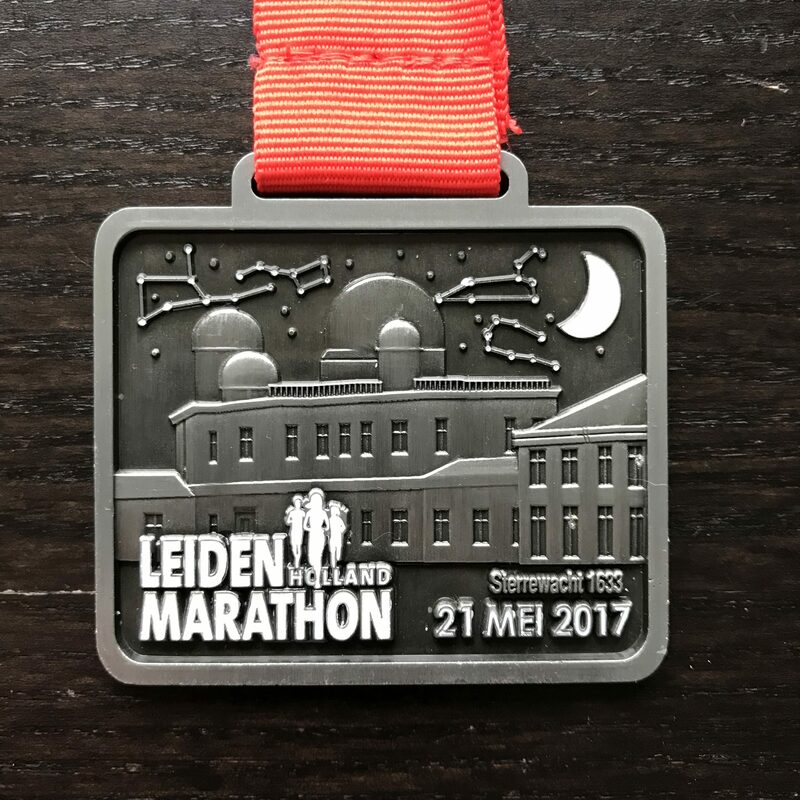 A very quiet and cold forest run, not the most inspiring event. We took the opportunity to do some sightseeing of the Royal Summer Palace after the race, since we were in the neighbourhood. 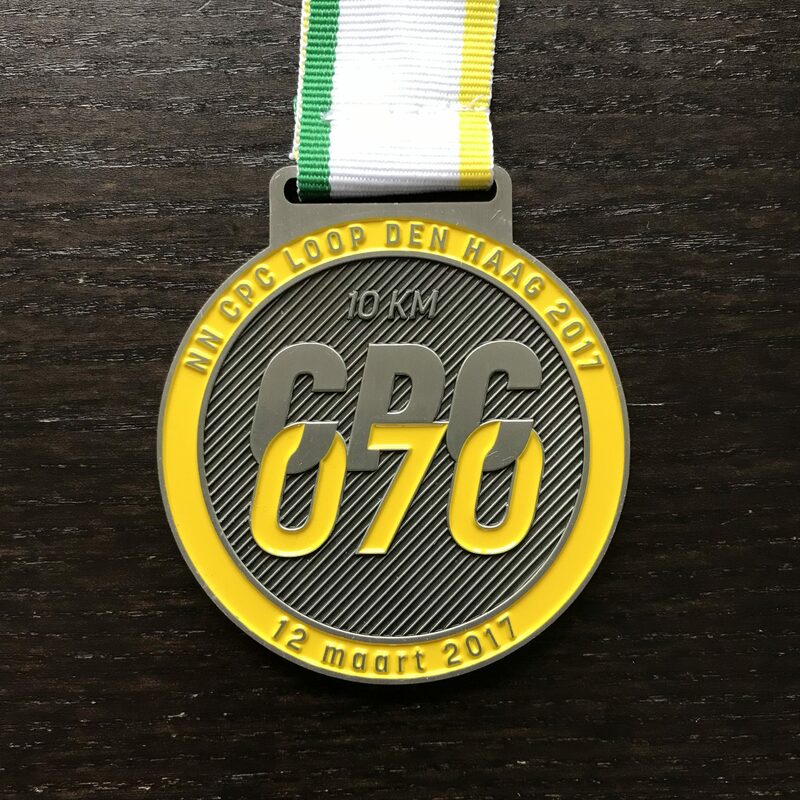 The first warm day of the running season, a super happy vibe in the city and a good crew of friends to run with; the CPC was loads of fun. 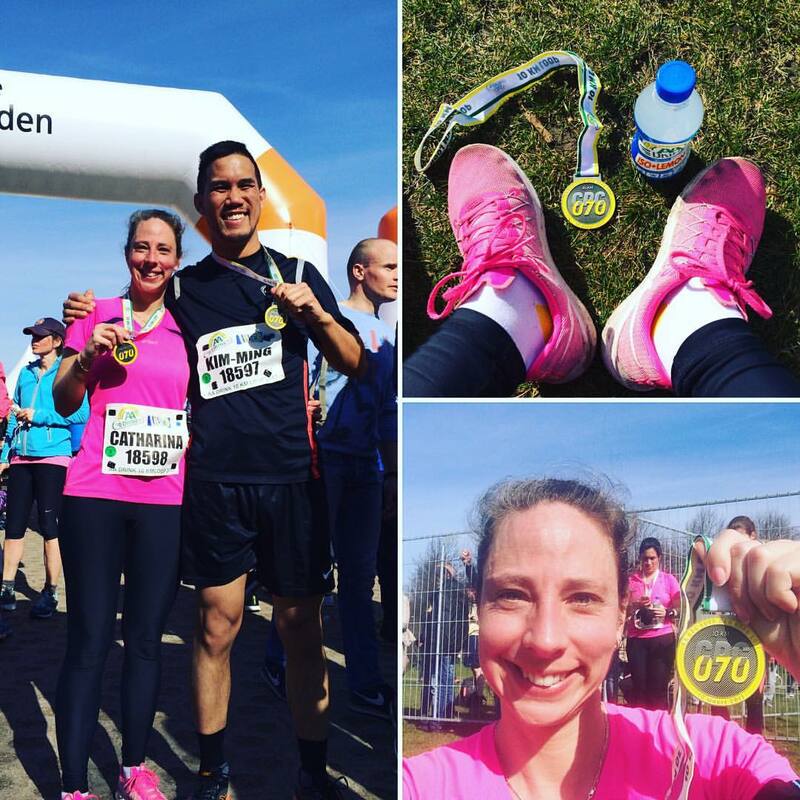 As Enschede is a border city we combined this event with a weekend trip to a pink castle in Benrath and explore the city of Düsseldorf, Germany. Aside from our sightseeing, the event itself wasn’t particularly memorable. 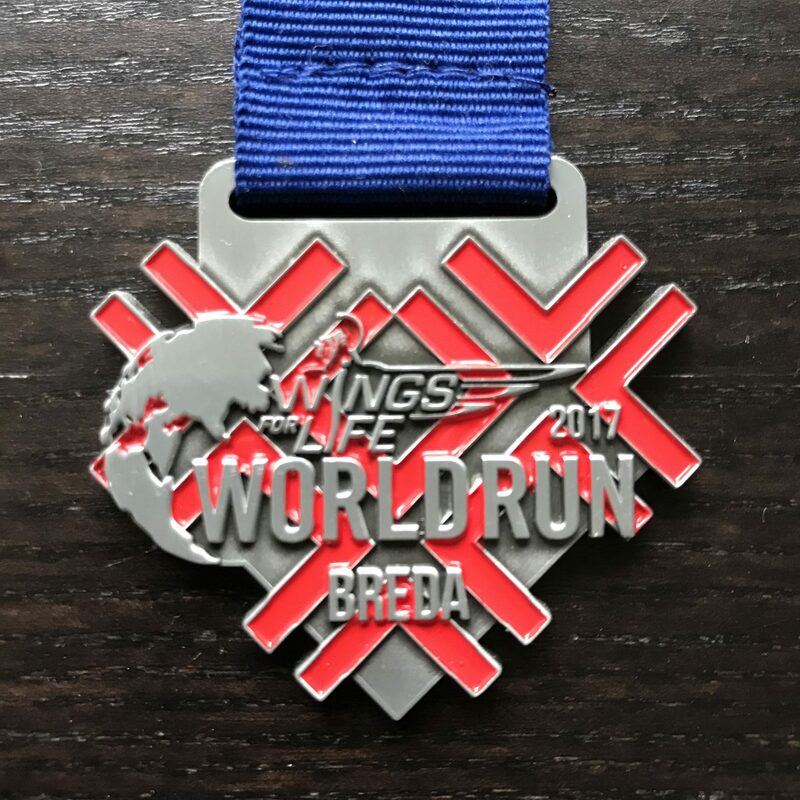 With a group of five of us, we made a team called the “Suckers for Punishment” and signed up for the Red Bull Wings for Life relay. It’s an awesome race with no set distance, you simply keep running until a chaser car catches up with you. It’s a fund raising event to support sufferers of spinal cord injury. Absolutely truck loads of fun! Leiden is a really cute town. 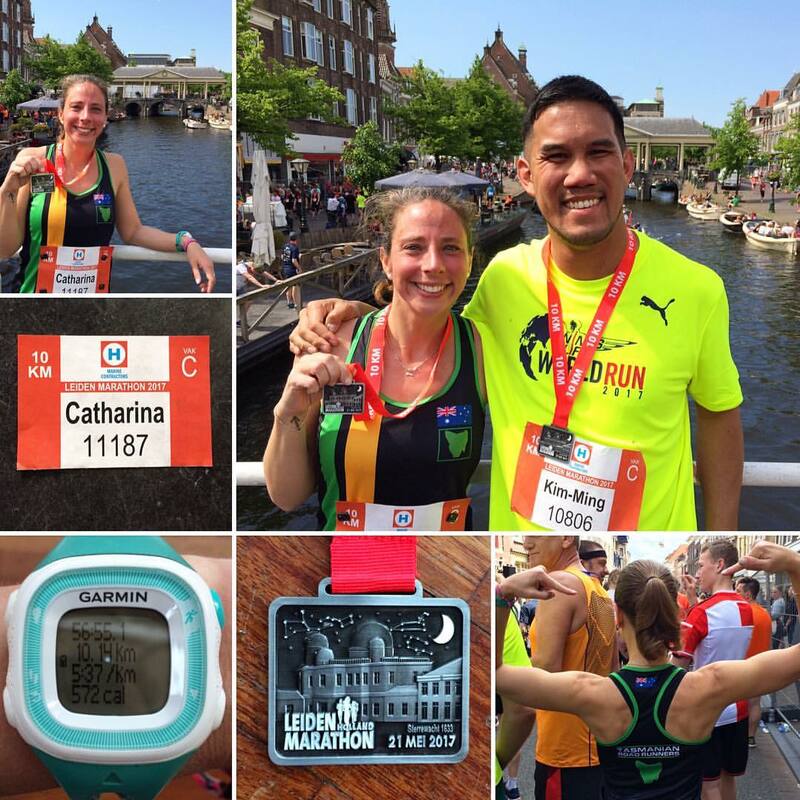 Old architecture, bridges, canals and sunny weather made the run a very pleasant one. 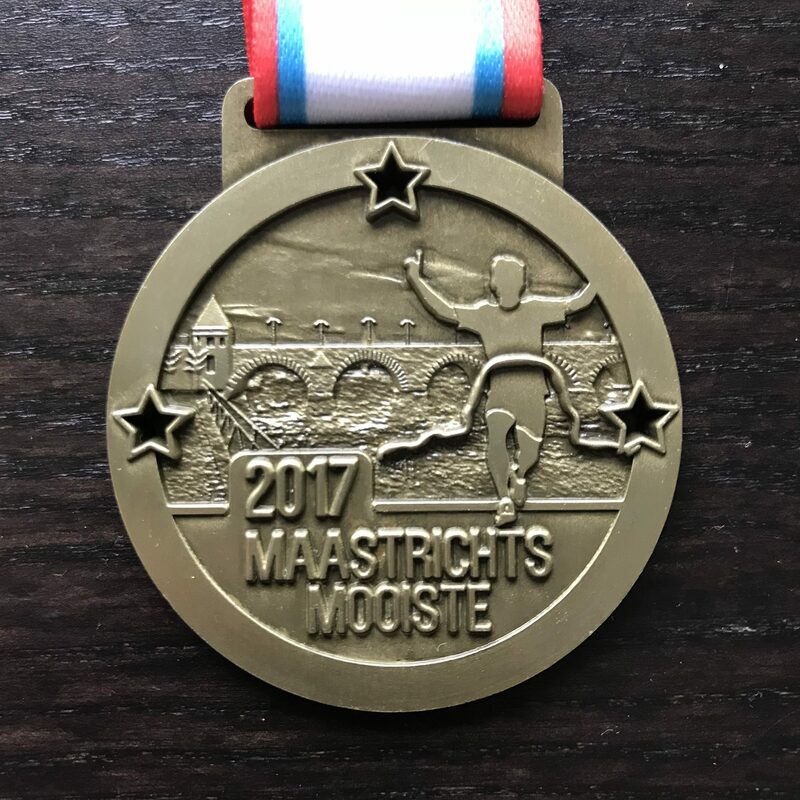 A beautiful but challenging run in crazy hot weather; with a cheeky loop over the border into Belgium (I can assure you though, I did not run with my passport in my pocket). This was the only race where I have ever been given cake at the end! It’s a traditional cake called Limburgse Vlaai. 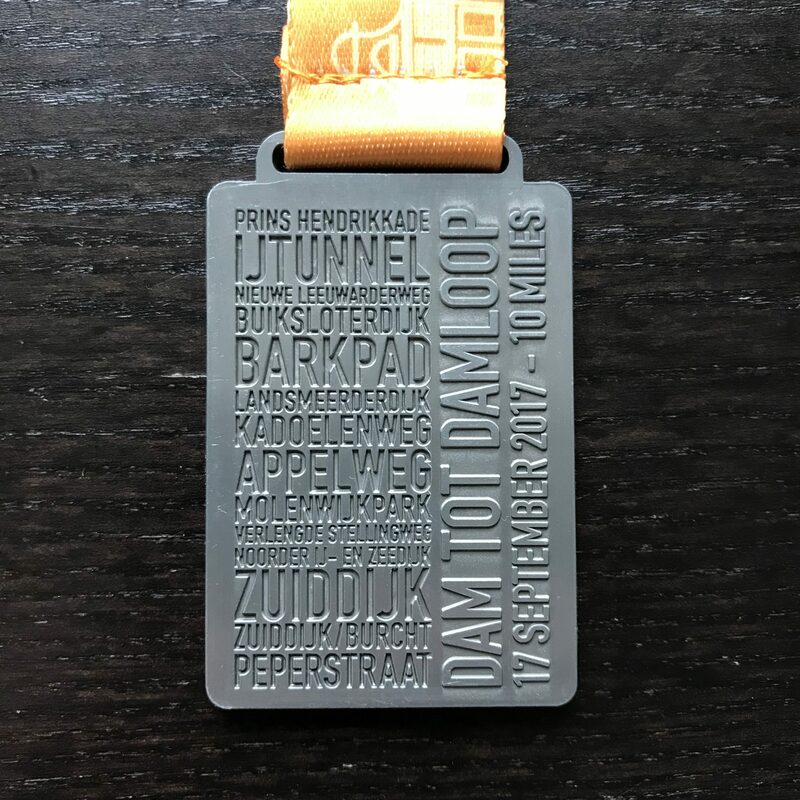 The most popular race in The Netherlands is by far the Dam tot Damloop. Entries sell out within hours of registration opening. 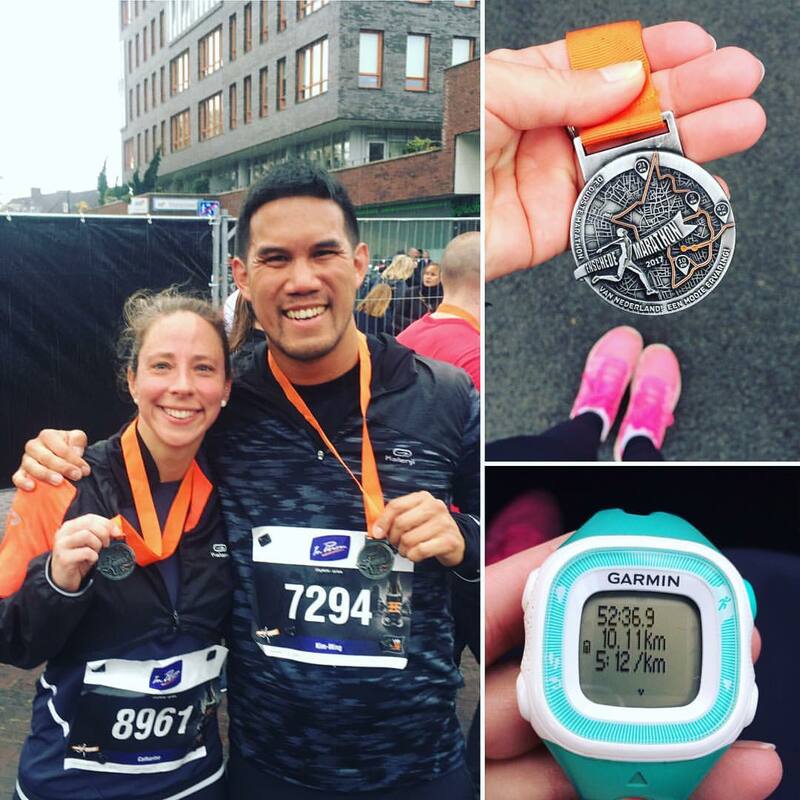 A run from the centre of Amsterdam to the city of Zaandam. 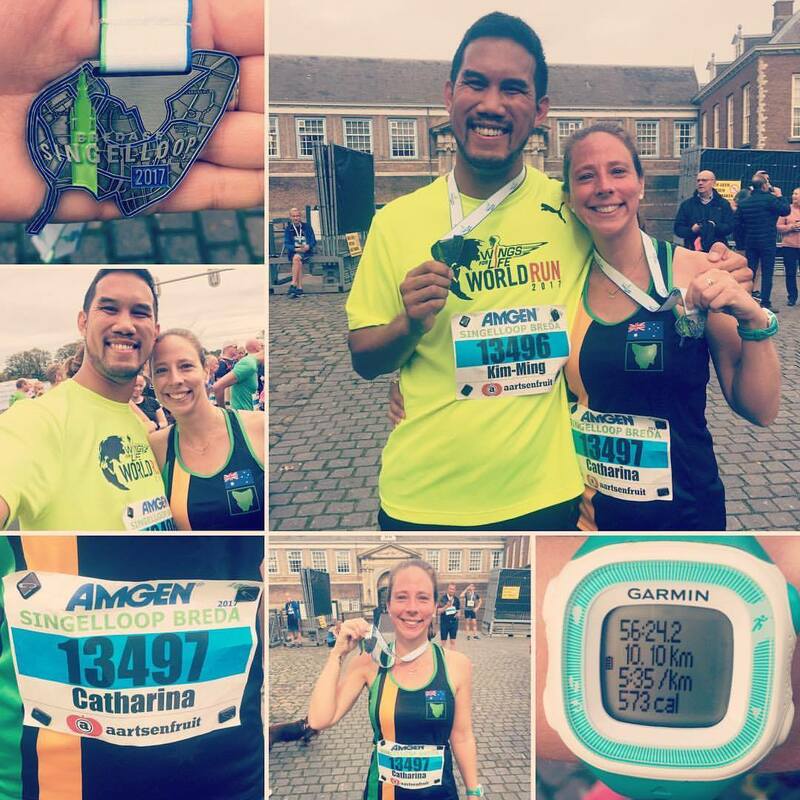 After a break from running over the summer, this was quite a challenging run; despite the pain I was in, the huge volume of spectators cheering us on was a real motivator! Note: I forgot to wear my Garmin on this run, so stats are pulled manually from the official event site. Breda is another cute town, with adorable architecture, cobble-stone streets, bridges and canals. 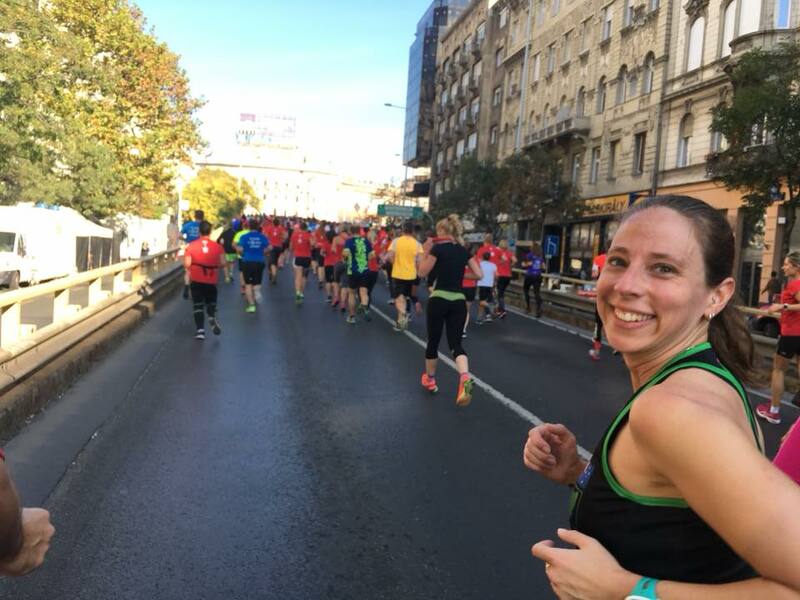 The race finished near the church, which is the architectural focal point of the city. 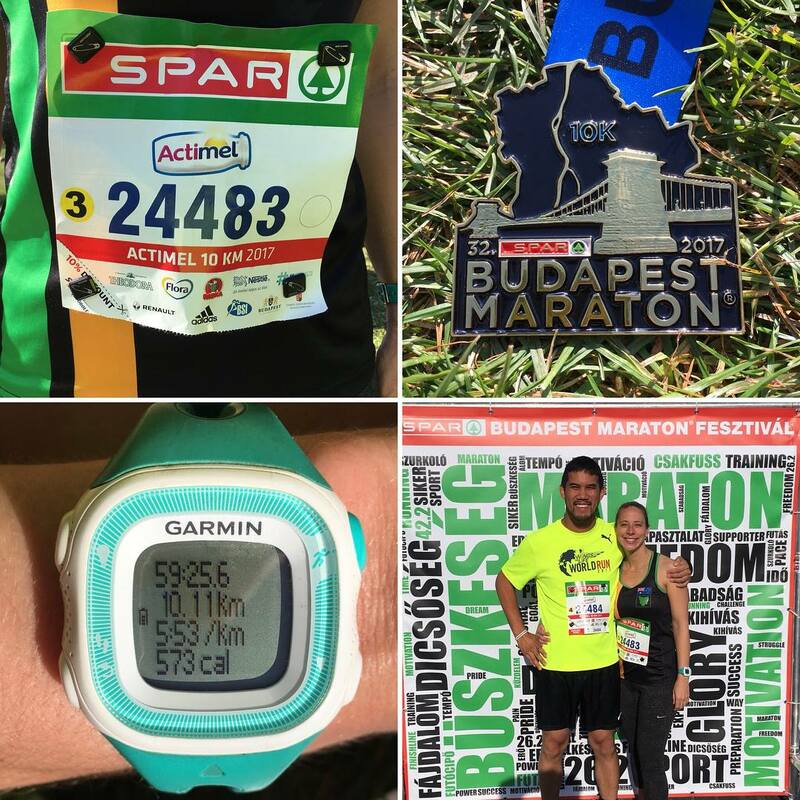 We celebrated the offical finish of our challenge with a holiday and run in one of our favourite cities, Budapest. We had beautiful weather and it was a nice, different way to do a ‘city tour’. The best way to relax all the muscles after the run was a half day soak in the thermal baths and an evening river cruise down the Danube. Lucky run number thirteen. 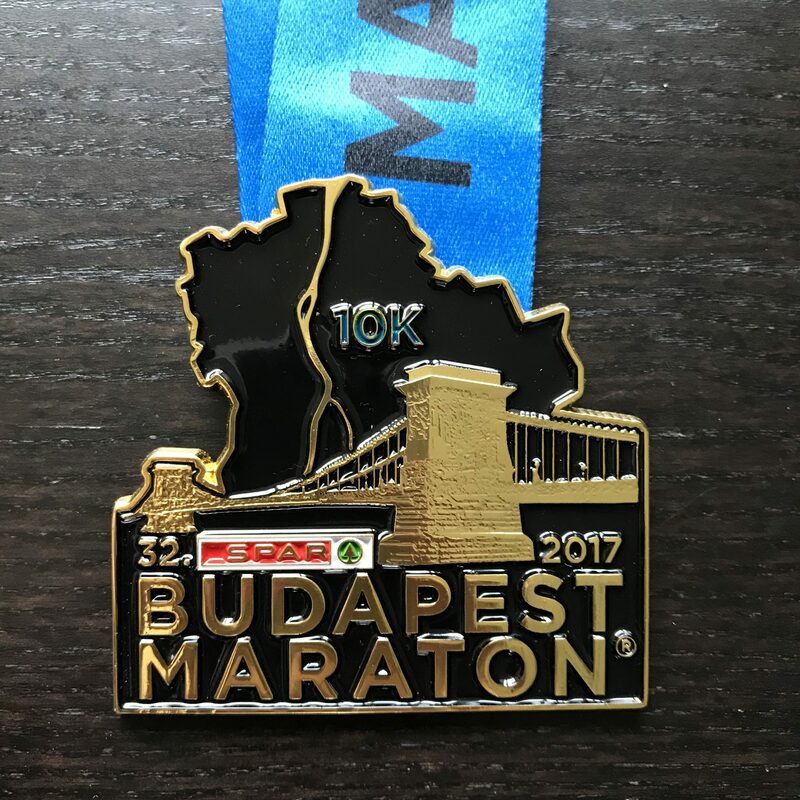 Despite our planned big hurrah of a final race in Budapest, we decided that to add a thirteenth race into the mix and wrap up our challenge with an event in our home town. As a recent local the entire run, apart from the start and finish 1 kilometre, was new territory for me. A nice way to see more of my new town. 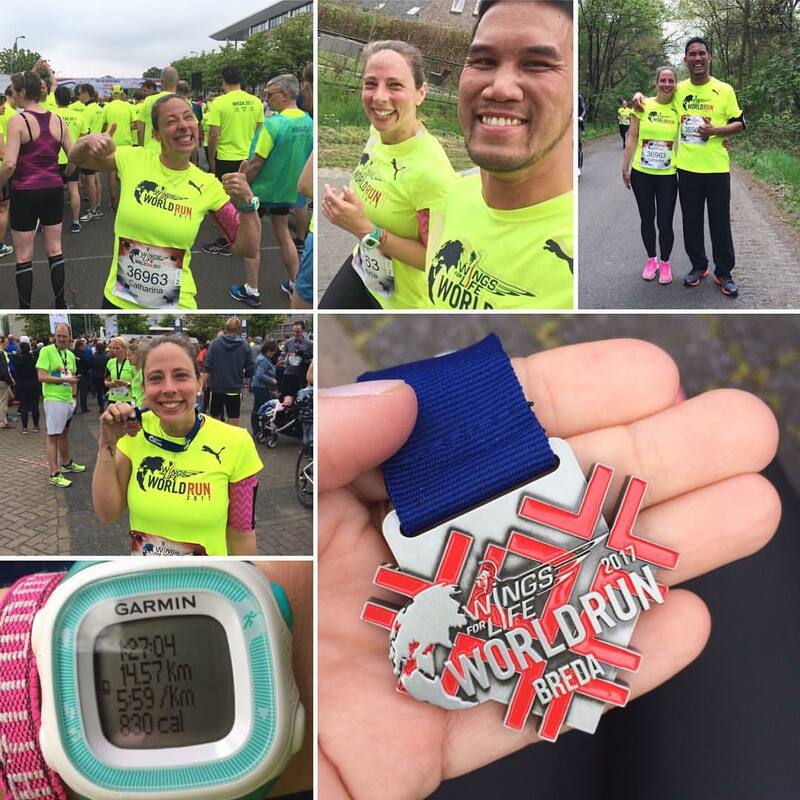 With the wintery weather, we had fantastic luck that we finished the race and got home just 5 minutes before the torrential rain began! A racerback tank from the Tasmanian Road Runners which I received from a friend. I like that when I run people can see my flag and my state, National Pride! Click on the image in the slider to check out my photographic summary of each event.